«Tesuji» is a Japanese term for «clever play», meaning the most correct and skillful move in the given situation. 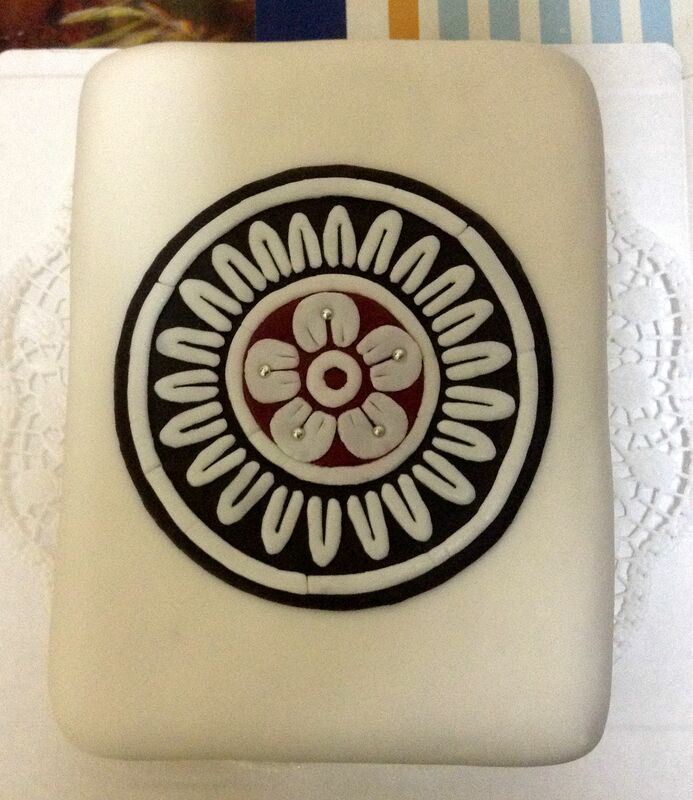 The history of riichi mahjong club «Tesuji» begins in November 2009, when the club has its first meeting. At that time club has only a few members, most of them being MSU (Moscow State University) students. There was no name or website then and even the word «club» wasn't yet used. Meetings were coordinated via vk social network and were usually conducted in «Koffein» cafeteria near Kuznetsky Most Metro Station. 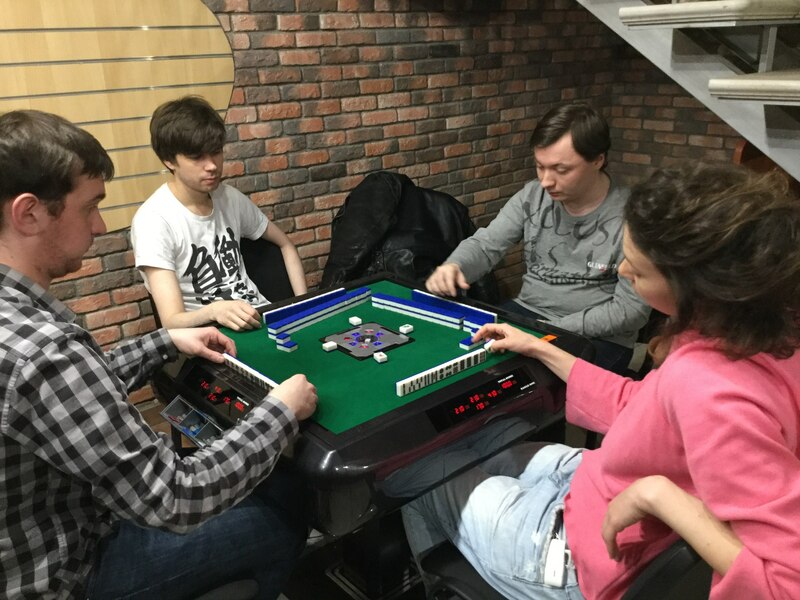 After half a year number of active club member increased by several times and in the beginning of the spring we managed to conduct a meeting with four simultaneously playing tables. But soon «Koffein» forbade playing games carried in by visitors (including mahjong), so we had to look for a new place to play. Despite these unfortunate circumstances, club members proceeded to meet and used any opportunity to play riichi. 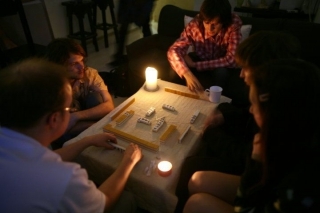 After a while club started a collaboration with «Adventure Guild», which has arranged a series of mahjong nights. And during the daytime games were usually held in open air. 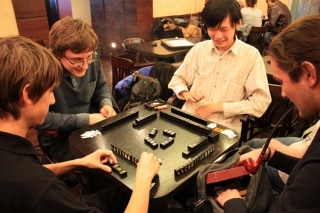 In September 2011 «Tesuji» club has collaborated with «Japanese House» cultural centre to set up the first Russian riichi mahjong school. Any person interested was not only able to learn the rules, but could also considerably improve his riichi skills and elaborate a deeper understanding of the game by listening to lectures and games analysis. Since 2011 «Tesuji» club is participating in various events and activities — for example, we act as riichi mahjong representatives in the main Japanese culture festival Hinode and teach festival guests how to play our favourite game. In May 2012 with the assistance from «Japanese House» we have organized by then-largest mahjong tournament in Russia — Moscow Open Riichi Tournament. 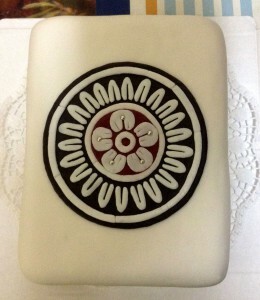 In the summer of 2012 the founders of «Tesuji» club have created the first Russian riichi mahjong professional league. 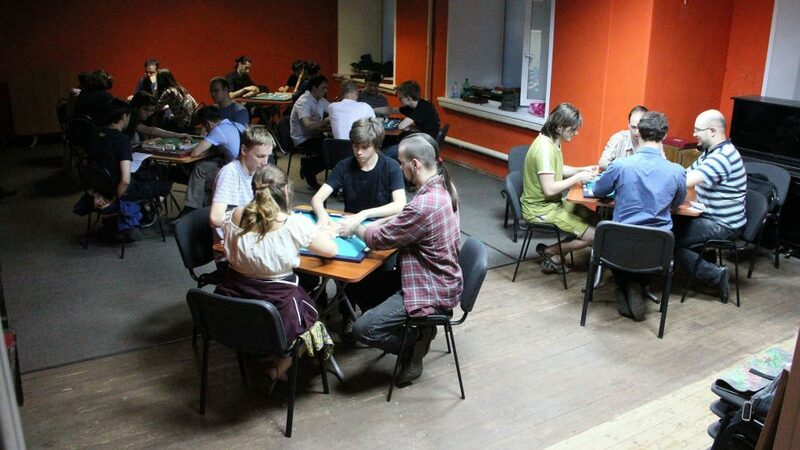 In the autumn we got our own premises in the building of a youth centre near Belorusskaya Metro Station. In the end of 2012 «Riichi Mahjong League» and «Japanese House» with the assistance of «Tesuji» club have started a new project — «Japan House Riichi Mahjong Cup» — a tournament following the Japanese rules. 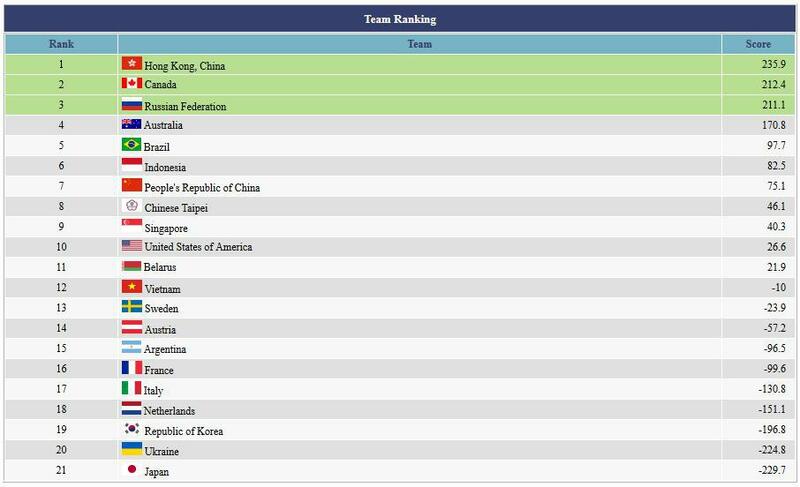 First Cup has taken place in May 2013, bringing together 60 participants from Russia, Ukraine, Japan and South Korea. 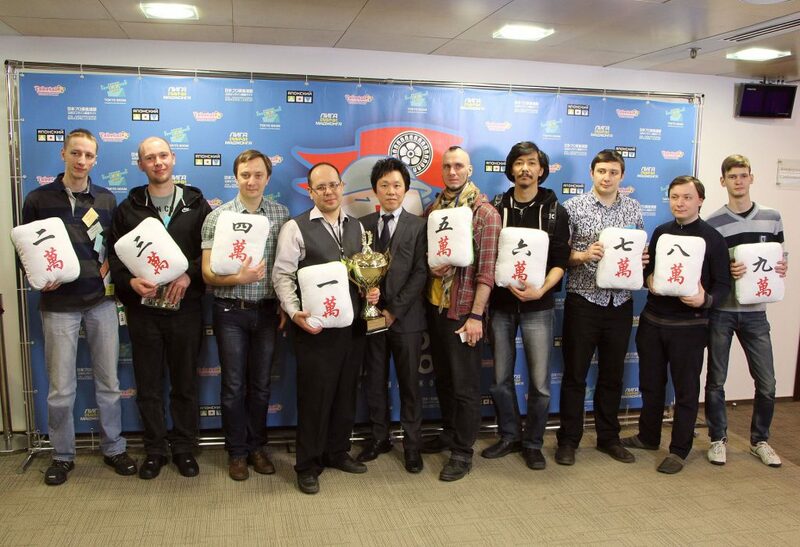 Winners and runner-ups have received valuable awards as the official partner and sponsor of the Cup was «Nintendo». In October 2013 League has celebrated its birthday by winning the international online tournament IORMC. In November 2013 «Tesuji» club was celebrating three different matters at once: club's 4th birthday, an anniversary of having new quarters and the signing of collaboration agreement between League and Russian Mahjong Federation. In 2016 Japan House Riichi Mahjong Cup, which has already become a regular tournament by then, was visited by the reigning World Champion Hiroshi Yamai. Number of participants aiming to win the Cup has reached as much as one hundred! In the end of 2016 «Tesuji» club has moved to cultural & hobby centre «Trilogiya» and on March 11, 2017, we have conducted a tournament for 40 participants at our new place — first Russian open riichi mahjong tournament following the JPML-A rules. Since the beginning of 2017, we are holding a series of seasonal events in which winner gets the title of «The Best Tesuji Player» and additional awards. On March 18, 2017 there was an important and at the same time pleasant arrival: we got a genuine Japanese automatic riichi table. The table not only builds walls, but also counts points.